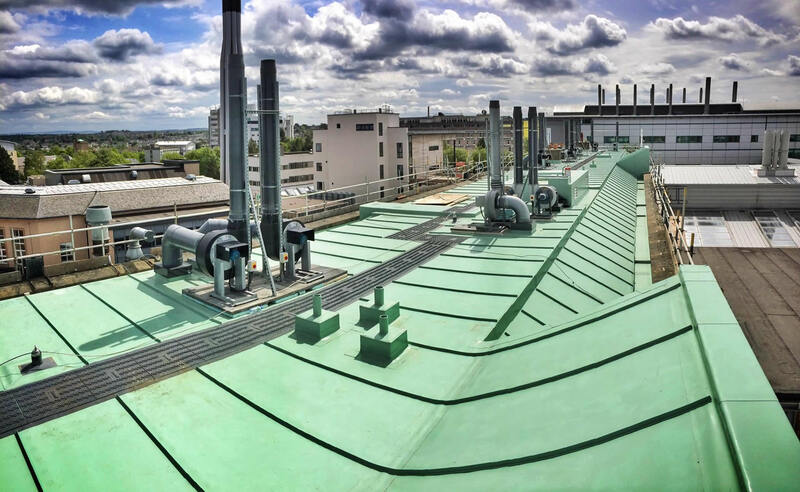 Fast and accurate locations of leaks on most roof membranes using equipment that will accurately locate the leak without the need to remove existing coverings. Allows accurate location of Wet or missing insulation within the roofing membranes. Removing core samples from various areas of roof enable us to create a comprehensive roof survey of exactly what the existing build up was any problems identified and the recommendations for remedial action. Working alongside our membrane suppliers we can visit site and build up a comprehensive file on the existing roof substrate which will include photographic evidence, a detailed inspection report and a solution to cure the problem for good.